1960 Van Heusen Dacron Shirts original vintage advertisement. 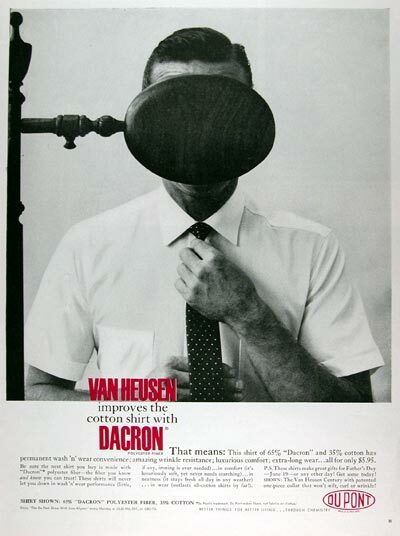 Van Heusen improves the cotton shirt with Dacron polyester fiber. This shirt of 65% Dacron and 35% cotton has permanent wash 'n wear convenience, amazing wrinkle resistance, luxurious comfort and extra long wear... all for only $5.95.